You could hear cheering in the halls here at our offices on Friday. Shortly after lunch we received word from the U. S. Department of Education (USDOE) that Ohio’s State scope of work was approved and that the $400 million Race to the Top (RttT) funding would be released. Finally, we are officially ready to launch the effort. This official notification will allow the Ohio Department of Education to release funds to participating LEAs. This award is a major step in moving Ohio’s RttT strategy forward. We are thankful for the opportunity to have Ohio schools embark on ambitious and innovative reforms that will ensure we are preparing our students to be highly successful in an interconnected global society. I want to express my deep appreciation for the hundreds of hours our staff put into this significant accomplishment. Also, please know that I truly appreciate the participating districts for their patience and for responding to questions as they arose from the USDOE. Reflecting back on last week and the State of the Union Address on Tuesday, President Obama made a clear connection between a strong economy and a strong system of K-12 and higher education. Furthermore, because he emphasized RttT and the potential impact it will make across the country, this initiative is likely to serve as the blueprint for the reauthorization of the Elementary and Secondary Education Act (ESEA). This is a point we have been hearing since the introduction of RttT. With Ohio receiving an RttT award, we will undoubtedly be a step ahead as the reauthorization begins to emerge. Ohio has a strong emphasis on science, technology, engineering and mathematics (STEM) in its RttT strategy, and President Obama also introduced an initiative to train 100,000 new teachers in STEM subjects. Based on Tuesday’s address, I feel confident that Ohio’s overall K-12 public education strategy will be aligned with the expectations that will arrive with ESEA and other federal and state requirements. Also during this past week, I stopped to reflect on the “Teacher in Space” program designed with Christa McAuliffe being the first teacher designated to represent educators as she took to the skies. Many of us can remember watching the lift-off of the Challenger and the tragedy that occurred on that cold January day. Last week, my thoughts turned to Christa’s hopes for her students, which align to the promise that so many educators hold for Ohio’s students. Their willingness to take risks, to seek greater knowledge about their practices, and to offer hope to generations of students is to be applauded. Although the dreams of Christa McAuliffe to teach from space did not materialize, we know that her spirit still lives on through thousands of teachers. Just as Christa’s mission lifted up the importance of educators, I continue to recognize that teachers can make a difference – and they do every day. Let us not have one day go by without thanking at least one teacher for their commitment to creating the future in their classrooms and schools. It is hard to believe that tomorrow begins the month of February. I am still trying to determine where January went! On the doorstep of this new month, there are great opportunities for our students to be engaged in meaningful conversations and lessons given African American History Month and Presidents’ Day serving as significant events and providing important historical contexts for students at all grade levels. While certainly not critical to our nation’s history, the tradition of Groundhog Day on Wednesday does offer the opportunity to have some fun while learning! I am especially hopeful that the groundhog will determine we have had enough of winter! I encourage educators around the state to consider creative lesson plans around all of our February celebrations and use them as teaching moments. Best wishes for a great week. Stay warm! There have been a number of questions recently about when new spending requirements will begin for funding received through the Evidenced-Based Model (EBM). With the exception of gifted funding within the EBM, House Bill 1 from the previous General Assembly required that these spending requirements be effective no sooner than July 1. State Rep. Randy Gardner recently introduced House Bill 30, which would eliminate all EBM spending requirements, except those for gifted funding. The State Superintendent has the authority to delay EBM spending requirements until the 2012-2013 school year. Given the possible passage of House Bill 30 and the uncertainty of the budget for FY 2012-2013, she will do so. This delay should allow districts to proceed with planning for next school year. ODE will continue to monitor House Bill 30 and notify districts if EBM spending requirements are completely eliminated or modified through this legislation. Please keep in mind that ODE is continuing to develop gifted spending rules to meet the current required effective date of July 1. The first draft of these rules will be presented to the State Board of Education at the February meeting. Again, ODE will inform districts and schools if there are any changes with the implementation of gifted spending rules. Outstanding students who are graduating this spring may receive special recognition from the State Board of Education for their achievements through the State Board of Education’s Award of Merit and/or Diploma with Honors. These programs encourage excellence in the college preparatory and career-technical curricula. Although the criteria differ, students eligible for the Award of Merit and the Diploma with Honors may receive both. Districts may order Award of Merit certificates from Wednesday, Feb. 2 through Saturday, April 2 for presentation to those graduating students who meet the eligibility criteria. The certificates will feature signatures of State Board President Robin C. Hovis and Superintendent of Public Instruction Deborah S. Delisle. The Award of Merit provides extra recognition for students’ total educational achievements. The State Board adopted current Diploma with Honors criteria in May 2007. Students who began high school in fall 2007 and thereafter must adhere to intensive criteria in mathematics, science and social studies to qualify for the high school academic or career-technical Diplomas with Honors. Districts may purchase seals to designate the Diploma with Honors directly from diploma vendors. The Web pages for the two programs also are available by visiting education.ohio.gov and searching for: Diploma with Honors or Award of Merit. ODE and Ohio Master’s Network Initiatives in Education (OMNIE) continue to address the immediate and future availability of speech-language pathologists (SLPs) for Ohio’s children who receive special education services. The Speech-Language Pathology Intern Graduate Program immediately increases the number of qualified SLPs in Ohio schools and provides districts with four continuous years of service delivery. The 2011-2012 school year will mark the fourth year for this program. SLP intern assignments will be made in March. Districts facing continued SLP shortages and/or anticipating future openings are invited to participate. Administrators must submit the District Application for SLP Support to request intern participation for the 2011-12 academic year. For details and to access the application, click here and see the For School Administrators heading atleft. Please direct any questions to Nada Allender, OMNIE project coordinator, at nada@ameritech.net or (330) 699-4019. Presenters from 50 organizations and businesses are on the agenda for the Ohio Economic-Education Summit IV, Feb. 21-23 at the Hyatt Regency in Columbus. Speakers will include State Superintendent of Public Instruction Deborah S. Delisle as well as business leaders from organizations such as BioOhio, McGraw-Hill, Procter & Gamble, NetJets, Edison Welding Institute, Global Wind Network, Ohio Manufacturing Institute and General Electric. The summit is designed to forge partnerships for continued alignment between education and economic development. For more information and to register, please click here or visit education.ohio.gov and click on the link at center. The School Athlete Milk Mustache of the Year (SAMMY) awards competition is accepting applications for grade 12 student-athletes through March 4. Selection is based on academic performance, athletic excellence, leadership, community service and experience as a milk drinker. The 25 winners selected will receive $7,500 college scholarships and trips to Disney World. They also will be pictured, along with their milk mustaches, in advertisements. The SAMMY awards are sponsored by America’s Milk Processors, USA Today, the American Association of School Administrators, the National Association for Sport and Physical Education, The American School Counselor Association and the National School Public Relations Association. Educators may nominate students, or students may nominate themselves. For more details and the online application, click here. South Elementary School of the Upper Sandusky Exempted Village Schools raised funds this year for the Pennies for Peace campaign to help students in Afghanistan and Pakistan obtain school supplies. The project was spearheaded by first-grade teacher Jenny Heilman, whose nephew serves in the U.S. Army in Afghanistan. Jenny was inspired to begin the school’s efforts after reading about the initiation of the Pennies for Peace campaign in Greg Mortenson’s book, Three Cups of Tea, which chronicles the author’s efforts to build schools through the East Asia Institute. The Pennies for Peaceprogram offers K-12 curricular materials in cultural education as well as resources to help raise funds for schools through the institute. “We …wanted to make the kids a little bit more aware of the world around them and especially of kids in the world who don’t have what they have,” said Jenny. The students spent months raising funds, then brought in bags and coffee cans filled with coins to First Citizens National Bank for counting. The bank contributed $65 to the student collection of $1,035, and then wrote a $1,100 check for the campaign. The bank also rewarded students with cookies, commemorative coins and a banner for the school. Congratulations South Elementary!! Correction: H. C. Mines Intermediate School, which was featured as part of the Jan. 10 Spotlight, is part of the Howland Local School District in Trumbull County. Many apologies for incorrectly reporting the school’s location and school district. Note: If your students are engaged in helping their communities and you would like to share what they are doing, send an e-mail to superintendent@ode.state.oh.us and include “Spotlight” and your school or district in the subject line. We also are pleased to receive digital images of these activities. Follow ODE’s Twitter feed by clicking here. We offer a comprehensive array of quality educational services, programs and products that will help meet the needs of your students, schools and districts. Our team members are experienced, talented professionals who can design programs to meet your needs. Additionally, the PCESC is well connected at the local, state and national levels. We stay aligned with the latest standards, regulations, research and best practices. Please visit our website and call us to speak to any of our team members for more information on our innovative and exciting programs. This is a reminder that you are invited to attend today's free webinar with Charlotte Danielson. Register online to attend if you haven't done so already. Today, Charlotte Danielson will show tools to support observations including the usage of critical attributes with scoring rubrics and video resources within iObservation, part of the ASCD Teacher Effectiveness Suite. Charlotte Danielson’s Framework for Teaching is an acclaimed benchmark for teacher evaluation for thousands of school systems and educators around the world. Register online to attend the webinar on Tuesday, January 25 at 2pm Eastern. This information is provided by iObservation, a comprehensive system for teacher effectiveness and evaluation. Copyright © 2010 Learning Sciences International. All rights reserved. National School Choice Week has begun and our board chair, Kevin P. Chavous, is encouraging parental choice advocates to continue our efforts to advocate for quality educational options for our children. Click here to see his message. Join the conversation on twitter with BAEO and other NSCW participants. Please use the hash tags #baeoschoolchoicewk and #schoolchoicewk when participating in and promoting BAEO sponsored events this week. Remember you can follow BAEO on twitter at @ntlbaeo. Please review the list of BAEO sponsored events for National School Choice Week to find one in your local area. Philly Chapter of BAEO Rally for School Choice at the Capitol! Free transportation. For more information contact PhillyBAEOinfo@BAEO.org or call 215 851-1795 to reserve a seat. BAEO is a national, non-profit, membership organization. 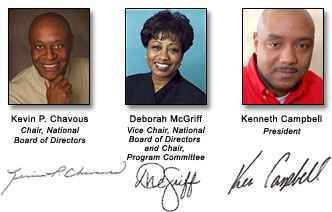 BAEO was founded in 2000 by Howard Fuller, Deborah McGriff, Virginia Walden-Ford, Philadelphia State Rep. Dwight Evans, Kenneth Campbell, and several other prominent Black educators, elected officials and civil rights activists with start-up funding from the Walton family foundation. BAEO celebrated its 10th anniversary at Symposium 2010, the Annual Meeting of the organization in Milwaukee, Wis., on March 4-6. BAEO's mission is to increase access to high-quality educational options for Black children by actively supporting parental choice policies and programs that empower low-income and working-class Black families. For more information on BAEO visit www.baeo.org. Address the Use of Technology in the Classroom: The use of technology in the classroom is a common concern voiced by many educators world wide. Every country, including the U.S. is facing the challenge of what's the most effective use of technology given limited access and resources. Growing Up Digital, Wired for Distraction: Students have always faced distractions and time-wasters. But computers and cellphones, and the constant stream of stimuli they offer, pose a profound new challenge to focusing and learning. Using Images in Teaching: A Quick Guide: It might be cliché, but it is nevertheless true. A picture speaks a thousand words. We are interested in getting your feedback on which aspects of EDK-12.com website are most useful for you as an educator. So we are asking you to please complete the survey question this month so that we can determine where we should increase our focus and expand our content. Poll Question: Which of the following EdK-12.com features do you consider the most useful? EdK-12.com Free Mini-Courses are growing. Here are a few titles that may be of interest for you in the areas of Reading and Language Arts, Mathematics, Science, Social Studies, Instructional Best Practices, Language Acquisition, and Data to Inform Instructional Decision Making. Check out our course catalogue within our site to see all available courses and descriptions for your use. New courses are posted on a monthly basis. Understanding Assessments Part 1: What Are Standardized Assessments? Understanding Assessments Part 2: Working with Standardized Assessments? In this free webinar, Charlotte Danielson will show tools to support inter-rater reliability when conducting observations including using critical attributes with scoring rubrics and video resources within iObservation, part of the ASCD Teacher Effectiveness Suite. January 5, 2011 - Save Money and Register Now for BAEO's Symposium 2011! “Now is the Time” is the theme for the 11th Annual Symposium which will be held on March 3-5, 2011 at the Hyatt Regency on the Hudson River in Jersey City, NJ. As we start our second decade, the Symposium remains an invitation-only event and space is limited. We continue to offer early bird registration discounts and special prizes for those who register by January 31, 2011. To ensure full participation and all benefits, you must complete online registration by February 17, 2011. This year’s theme, “Now is the Time,” is a clarion call to look back, reflect, celebrate and to be daring and bold as we stand up for our children. It will always be the Symposium’s goal to inform, inspire and empower by providing all that you need to make a significant difference in transforming the academic achievement of our children. Visit high quality schools in Jersey City and Newark, NJ to observe educators facilitating the revolutionary act of educating Black children. Celebrate how parents and students in BAEO mobilization and advocacy sites enact, expand and protect parental choice legislation. Learn how to support and replicate high quality Black-led charter schools so that Black children will have access to more great and excellent schools. Experience exemplary teaching strategies for the 21st century that enable Black children to compete globally. Relax with special features such as African dance, a cultural book store, yoga, a prayer and reflection room, and chair massages. Network during the time scheduled in the program, including one lunch and dinner on your own. Rededicate to the struggle for parental choice! Early bird registration is open now! Register by January 31 to save money and be eligible for early bird registration prizes. Remember we must receive your registration no later than February 17. Act now! Click the “yes” button below to register. I hope this weekly greeting finds you still relishing your time over the past few weeks – reconnections with family and friends; perhaps a good book on a long, lazy afternoon; watching children capturing snowflakes on their tongues; or creating new memories with friends. No matter how you spent your time over the last couple of weeks, it is now time to recapture our optimism about our work with children! As we head into a new year, I am certain that our collective energies will allow us to continue the good work in which we have been engaged – preparing our students for a world whose parameters are constantly changing. As we begin to consider the possibilities of the upcoming year, I want to share some information to keep in mind as this year unfolds. Recently the State Board of Education prepared a biennial budget request for Ohio’s public schools with recommendations for necessary legislative actions. The budget (Flat Plus Scenario) recently submitted to the Office of Budget and Management is intended to help maintain existing educational programming with limited expanded investments in targeted areas of need while simultaneously considering the economic environment Ohio now faces. The challenges facing primary and secondary education demand that our educational system meets the individual needs of every student. Certainly one of the most pressing current needs for primary and secondary education is how to fund various initiatives and reforms that are necessary to strengthen the work in which Ohio has been engaged during the past decade. Ohio continues to engage in all potential sources of funding. For example, through Race to the Top (RttT), Ohio will receive $400 million over four years to work on specific reform initiatives. It’s important to note that the RttT funding is not intended to be used to “back-fill” shortfalls in the state’s education budget. Our staff has been working diligently with the U.S. Department of Education to ensure that all of their requirements are met for accessing the RttT funds. Additionally, many of the RttT positions contained in Ohio’s proposal are on their way to being filled. We will keep you posted as this important work continues. While 2011 will bring its own share of challenges and uncertainties, I know our educators and leaders have both the character and the capacity to rise to the task at hand and collaborate on improving and enhancing Ohio’s education system. Working together, we can help our state to develop practices needed to reform our K-12 education system and ensure all students are well prepared to meet the demands of an increasingly global economy. While we never can predict the highs and lows of any new year, I do know that we can remain true to our mission and employ our mutual respect to support and inspire one another. Please accept my genuine gratitude and deep appreciation for the work in which you are engaged every day. Our collective focus on supporting our students and their families is to be applauded. Please be sure to scroll down and read the important information that follows this letter, especially that which highlights proposed changes to the value-added rules. Best wishes for a joyful and rewarding 2011! At the January meeting of the State Board of Education, its Achievement Committee will be discussing important proposed changes to the value-added rules. 1. Establish a more rigorous statistical definition for the growth standard, moving it from one to two standard errors of measurement. This change aligns the standard with the Battelle for Kids SOAR project. It is widely recognized as a more appropriate standard for distinguishing highly effective or unsatisfactory performance from performance that meets the standard, and it will be used for Race to the Top purposes as well. 2. Change the requirement for the time frame for value-added to impact report card ratings. Currently, it takes two years of “above expected” growth to receive a boost in the report card rating. This will be shortened to one year. Likewise the penalty for “below expected” growth will be triggered in two years rather than the current three. We recognize that value-added will continue to be a significant factor in our accountability system. Improving the implementation of the measure will provide greater fairness and credibility to the way we publicly rate our schools. These specific proposals emerged from helpful discussions with the membership of the Buckeye Association of School Administrator’s Report Card committee and numerous superintendents, Battelle for Kids, and other stakeholders. The changes also are intended to move to a single value-added system in Ohio that incorporates all of the beneficial diagnostic features currently employed in the Battelle for Kids SOAR project. Finally, these changes will position us to meet the challenges of changes to our accountability system that will result from the implementation of new standards and assessments. For more information about the proposed rules changes, please contact Matt Cohen by calling (614) 752-8729 or e-mailing him at matt.cohen@ode.state.oh.us. The Ohio Educational Technology Conference will offer more than 500 sessions and displays featuring best practices and strategies for leadership, integration and implementation that use the latest trends in emerging technologies. The conference will be conducted in Columbus by the eTech Ohio Commission on Jan. 31 to Feb. 2. Among sessions of interest to all districts is the Technology for Transformation program on Monday at 1 p.m., in which a panel of ODE staff will describe the Instructional Improvement System (IIS), a technology for easily managing student data and transforming classroom instruction. Using IIS, educators will be able to create cycles for continuous instructional improvement that drive individualized instruction for each student. The IIS will be of particular benefit to districts participating in Race to the Top (RttT) as it will assist administrators in reporting required data. On Tuesday, Feb. 1 at 9 a.m., ODE Chief Operating Officer Francis Pompey will provide a description of the latest local, state and national trends related to technology in education. Also on Tuesday and on Wednesday, RttT districts are encouraged to attend their regions’ Connect Collaborate Change sessions, where they will meet contacts from other nearby RttT districts and schools as well as ODE staff leading the RttT initiative. During these sessions, participants will be invited to offer feedback about the IIS and ask questions about their RttT participation. For complete details about the 2011 Ohio Educational Technology Conference, visit the eTech Ohio Conference Page. Graduate credit options will be offered, and team and student rates are available. For assistance with registration, contact eTech at (877) 383-2406 or conference_registration@etech.ohio.gov. On Dec. 21, the U.S. Census Bureau released its first round of 2010 Census data, including resident population for the nation and states, as well as congressional apportionment totals for each state. To assist teachers in using this information in the classroom, the bureau also released new lesson plans and interactive resources for kindergarten through grade 12. The materials will help educators and students learn about the roles that census data play in apportionment decisions that shape the U.S. House of Representatives every 10 years. The bureau’s short animated video provides an introduction to how the apportionment process works. In addition, students can explore trends in the country’s changing population using an interactive map that showcases census data from 1910 to 2010. The map provides population, population density and apportionment data for each state, as well as Puerto Rico and the District of Columbia. For more information about all Census in the Schools resources, please call (301) 763-INFO (4636) or (800) 923-8282. The TAF program offers two tracks: the Washington Fellowship, which is a full-time appointment based at USDOE in Washington, D.C.; and the Classroom Fellowship, which allows teachers to continue teaching in their schools while participating in the TAF program on a part-time consultancy basis through USDOE’s regional offices. Fellows spend one year learning about key federal programs and policies, including their design and implementation. They also share their expertise with federal staff members; provide outreach and communication about federal education initiatives to other educators; and encourage teachers to get involved in developing and implementing federal education efforts to improve their effectiveness. As many as 10 Classroom Fellows and up to five Washington Fellows will be selected for 2011-2012. Teachers who have a record of leadership, strong communication skills and insight from their classroom experiences are encouraged to apply. For more information and application instructions, click here. Questions may be directed to Gillian Cohen-Boyer at (202) 401-1259 or TeacherFellowship@ed.gov. Education leaders, district board members and business/community leaders are encouraged to participate in the Ohio Economic-Education Summit IV, which will be held Feb. 21-23 in Columbus. This annual summit is designed to provide information and forge partnerships for continued alignment between education and business/industry in six industry sectors: advanced energy, aerospace/propulsion, agriculture/bioproducts, biomedicine, logistics and materials science. ODE’s Office of Career-Technical Education has been planning the summit in collaboration with the Governor’s office, the Ohio Department of Development, Ohio Board of Regents, Ohio Department of Job and Family Services, BioOhio and the Ohio Association for Career and Technical Education. For online registration, a draft agenda with keynote presenters, and videos and fact sheets about each industry sector, please visit the Summit IV website. Project Dragonfly – which offers international conservation studies in 12 countries throughout Africa, Asia, Australia and the Americas – is accepting applications through Jan. 28 for 2011 summer/fall Earth Expeditions graduate courses and the Global Field Program master’s degree program. The studies are open to educators and other professionals from all disciplines and settings, regardless of grade level or academic focus. Created by Miami University and the Cincinnati Zoo & Botanical Garden, Project Dragonfly brings together graduate students, scientists, educators and community leaders at critical conservation field sites worldwide. In addition to new courses in Australia and Guyana, sites for 2011 include the Amazon, Baja, Belize, Borneo, Costa Rica, Kenya, Mongolia, Namibia, Thailand and Trinidad. Tuition for seven graduate credits and all basic in-country expenses are covered in the $1,250 course costs. Accepted students are responsible for airfare. For more information and to apply, please visit the websites for Earth Expeditions or the Global Field Program, or contact Connie Malone at EarthExpeditions@muohio.edu or (513) 529-5103. Project Dragonfly also offers additional master’s degrees in conjunction with universities in selected U.S. cities, including Cincinnati and Cleveland. For information about these new master’s programs, click here. The Chinese Guest Teacher Program, jointly administered by the College Board and ODE (in partnership with the National Council of State Supervisors for Languages), is designed to help U.S. schools develop Chinese language and culture study programs and to promote international exchange between the United States and China. The program provides an experienced language teacher from mainland China for the host school or district for one to three years. · The advantage of having Chinese guest teachers serve as cultural resources in other subject areas. For more information and an application to request a Chinese guest teacher for the 2011-2012 school year, click here. Direct any questions to Ryan Wertz, ODE world languages consultant, at (614) 728-4630 or ryan.wertz@ode.state.oh.us. All application materials must be submitted directly to the College Board no later than Feb. 15. School students throughout Ohio know that local food pantries have been receiving increasing numbers of requests for assistance from families who are challenged to put food on the table. Among those who have responded to the call for help are Chippewa High School students in Wayne County (at left), who collected 12,700 cans of food. The students also helped sort and box 23,000 items for their local food cupboard. The students of the Drama and Octagon clubs at Tipp City High School in Miami County dressed in costumes for a door-to-door canned goods collection that raised more than 1,200 pounds of food for the Tipp Needy Basket. Congratulations to all of these students for their generosity and success in supporting local food pantries! January 1, 2011 - Early Registration Now Open for BAEO's Symposium 2011!